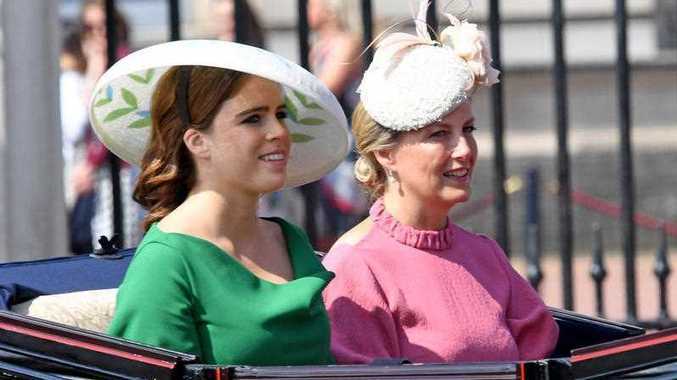 Princess Eugenie and Sophie, Countess of Wessex leave Buckingham Palace in an open carriage to attend the Trooping the Colour ceremony in London. PRINCESS Eugenie is giving followers a sneak peek of life inside Buckingham Palace. 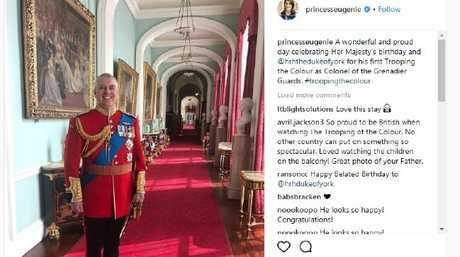 The 28-year-old royal recently shared a behind-the-scenes photo of her father, Prince Andrew, the Duke of York, celebrating his first Trooping the Colour as Colonel in Chief of the Grenadier Guards. The honour was bestowed on him by his mother, Queen Elizabeth II, in March. "A wonderful and proud day celebrating Her Majesty's birthday and @hrhthedukeofyork for his first Trooping the Colour as Colonel of the Grenadier Guards #troopingthecolour," she captioned. The 58-year-old proud patriarch posed in his regal uniform against majestic busts and paintings. The proud princess posted a tribute to her dad. This year's festivities was a significant one for the royal family. Former actress Meghan Markle, who married Eugenie's cousin Prince Harry in May, appeared in her second event as the Duchess of Sussex and made her Buckingham Palace balcony debut. Thousands lined up the streets to gaze upon Markle and Harry's ride through London for the Trooping the Colour ceremony. The celebration, which honours the queen's birthday, is a longstanding British tradition where military troops show off their flags (or colours) and march throughout the Buckingham Palace square. 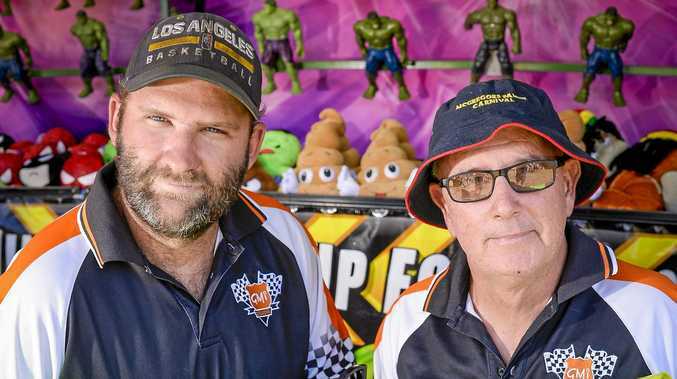 While the traditional ceremony is meant to honour the queen, who rode solo in a carriage without Prince Phillip who has retired from public events, all eyes were on the 36-year-old former Suits star. Unlike her cousins Harry and Prince William, as well as their wives, Eugenie, who is eighth in line to the throne, is allowed to maintain her own social media account. People Magazine reported it is likely because Eugenie doesn't have a formal working role within the royal family. She does accompany her father on official duties and engagements. Eugenie currently works as an associate director at London art gallery Hauser & Wirth. 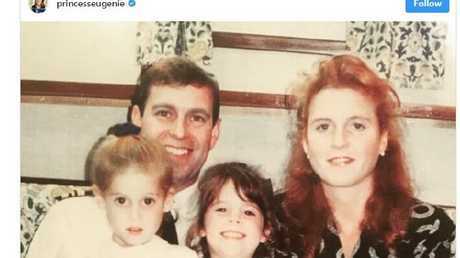 Eugenie has used her Instagram to share photos of her fiance Jack Brooksbank, as well as childhood snaps featuring her sister Princess Beatrice. A throwback photo of the royal family. Still, Eugenie has used her royal status to raise awareness on scoliosis, a medical condition that causes a person's spine to curve. Back in March, she credited Beatrice for encouraging her to "live fearlessly," despite a painful diagnosis. "As my big sister, you inspire me," Eugenie shared at the 2018 We Day U.K. Charity Concert. "I love that, as a team, we work hard to support each other - no matter what. When I was 12, I was diagnosed with, and treated for, scoliosis and I have lived with two 12-inch metal rods in my back. It could have impacted my life and stopped me from doing the things I love." "You encouraged me not to get disheartened. Not to give up. To live fearlessly. Today, I am so lucky to get to work with and support other young women who are going through the same thing. To encourage them not to let their diagnosis win. To live fearlessly too." Buckingham Palace announced in January Eugenie will marry Brooksbank in the fall. He proposed with a padparadscha sapphire ring surrounded by diamonds.